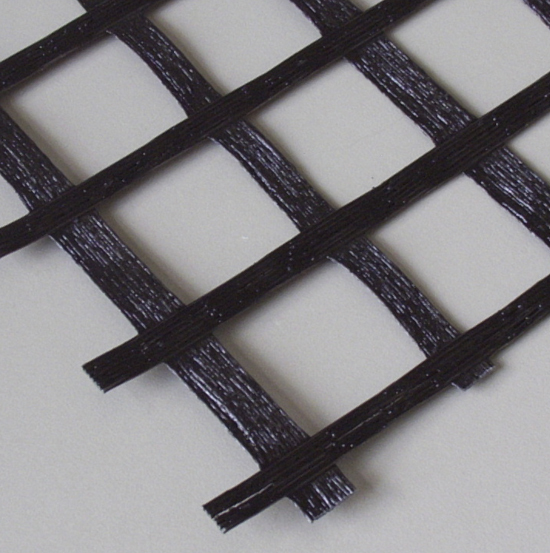 Geogrids formed by filaments of high tenacity polyester coated and bonded by one wrapped PVC. In landfills (improves mineral barrier and allows you to take advantage of the available space, building slopes with very high slopes). 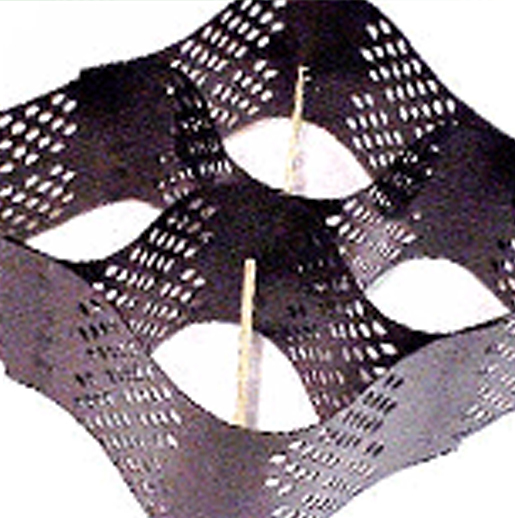 Cellular soil confinement system, consisting of a set of hexagonal cells, HDPE strips joined by fusion of the material. This product is applied in soil stabilization, both on slopes for erosion control, being the cells filled with topsoil, facilitating the growth of vegetation, as for the stabilization of soils of low resistance under load, being the cells filled with gravel. Geotexcell panels are placed next to each other, from the top of the slope to the base, anchoring them with steel elements, whose length depends on the type of soil where applied. In the case of reinforcement of soils, simply stretch and filled with gravel. Density of Geotexceldas anchoring elements is 1’5 u/m2, placed in its perimeter and center of the panel. The anchors must have as minimum 0’50 m long and 12 mm in diameter. Volumetric mesh for erosion control. The product is specially designed to prevent erosion (rills and gullies) on slopes. Thanks to its volumetric configuration allows placement and sustenance of a vegetal substrate. The GEOTESAN VOLUMETRIC strengthens the vegetation since the roots are attached to it. It also has a light of suitable mesh so contribution soil from entering it. A PP mesh BOP of 40 g/m², which acts as a substrate. 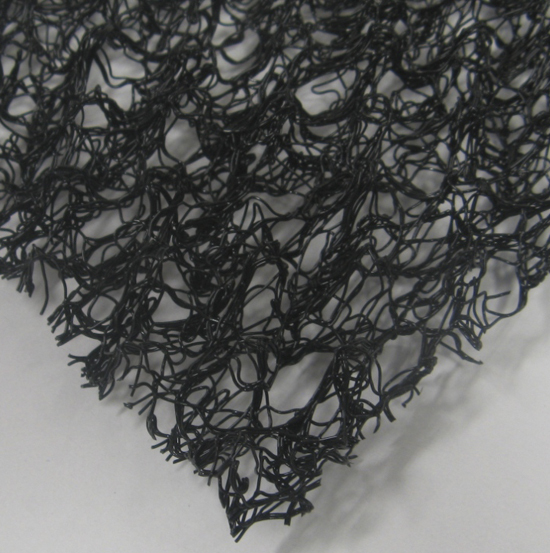 A HDPE rhombic mesh of 125 g/m2, which acts as a base. A HDPE rhombic mesh of 125 g/m2, which generates ripples. Ideal for protecting land erosion on slope: slope of roads, residential areas, gardens, landfill closures, protections. Regulate the profile of the slope. Open two trenches, one on the top and one at the bottom of the slope, to anchor the volumetric Geotesan mesh to the natural terrain and to facilitate the unroll. Anchor the mesh in the top of the ditch using steel Staples, one each linear metre. On side seams overlap 10 cm from a roll on top of the next. Once the mesh is solidly set on the ground proceed to the fullfilling of soil. If it is a projection of substrate this must be applied in different layers of soil to cover the product. In both cases it is recommended to incorporate a hydroseeding on the soil. Once the hydroseeding is recommended to extend a capping layer to prevent wind or birds carrying seeds.